Home » Meaning of Design + Personal Data? 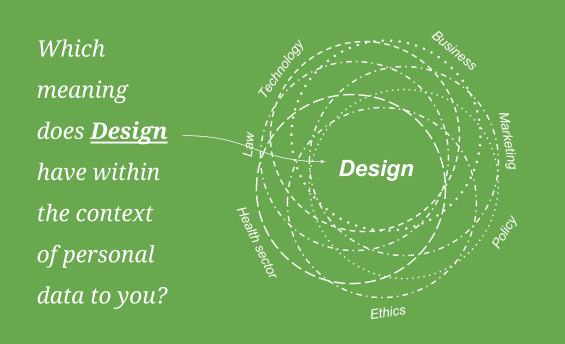 Which meaning does Human-Centered Design have within the context of personal data to you? MyData2017 offers a unique opportunity to meet and share thoughts with people from very different backgrounds, who all are in one way or the other interested in evolving the field of personal data to more human centric. The team behind the Design track in the conference is askin other participants about their personal vision and meanings of Human-Centered Design (HCD) in the context of personal data. Go on and contribute by answering the three question survey below — we promise this won’t take you more than 10 minutes and all the data will be treated anonymously. The results will be discussed further at the breakout session on the 1st of September in Helsinki, h. 13:30 – 14:45 at the Main Stage.